The Council for Education Policy Research and Improvement was a citizen board for independent policy research and analysis. It was housed under the Office of Legislative Services. 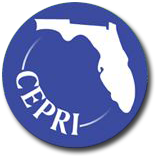 The Council was required by the Legislature (Chapters 2001-170, Laws of Florida) to conduct and review education research, provide independent analysis on education progress, and provide evaluation of education issues of statewide concern. As of January 1, 2006, the Council completed its interim projects and has no plans to meet again. The Council staff have all relocated to other positions. This website will be available for researchers and policy makers until further notice.